For those of you unfamiliar with what pietra dura means, it basically is using cut stones to compose an image and inlaid it into a piece of furniture. The technique has been around since Ancient Rome but was most popular during 17th to 19th century. Many highly prized 18th century French furniture are embedded with pietra dura. Patrick Naggar of Ralph Pucci took the concept and ran with it. The result is something reminiscent of the past but yet distinctly present. 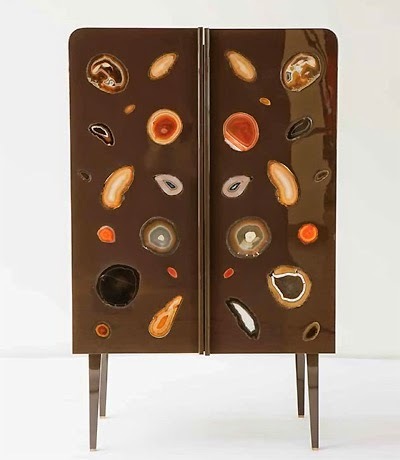 This gem cabinet is truly unique and will fit into your modern interior seamlessly.